Four far-right nationalist parties plan to form a new group in the European Parliament after next month’s elections. 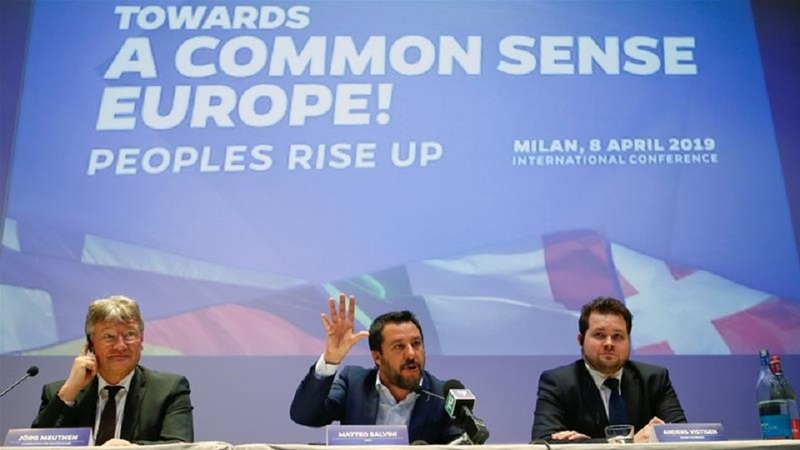 Italy’s interior minister and co-deputy prime minister, Matteo Salvini, is spearheading efforts to constitute the new group, which will be called the European Alliance of People and Nations. Salvini is the leader of the anti-migrant League party whose popularity has shot up after it formed a government with the Five Star Movement (M5S) last year. A press conference held in the Italian city of Milan on Monday under the slogan “for a common-sense Europe,” saw the participation of Jorg Meuthen, leader of the Alternative for Germany (AfD) party, which is currently the third-largest group in the Bundestag, the German parliament. Other participants were the anti-migrant Finns party of Finland, which did not send its leader, but candidate Olli Kotro, and Anders Vistisen, an MEP of the anti-Islam Danish People’s Party.